Oral history is the collection and study of historical information about individuals, communities, and everyday life using recordings and transcriptions of planned interviews. We have important stories to share in Newfoundland and Labrador, and properly planned oral history projects can be a valuable tool for museums, towns, historical societies and heritage organizations. This introductory, half-day workshop is open to anyone with an interest in local history, culture, and folklore. It is intended to give a background on how to conduct research interviews, and will give people a chance to try their hand at creating interview questions and to explore the world of oral history! We will talk about the practical matters of creating, designing, and executing effective oral history and folklore research projects, project planning, ethical issues, and recording equipment. This workshop will be beneficial to people who are contemplating folklore and oral history projects of all sorts, ranging from short-term projects involving a single researcher to complex, long-term projects involving many researchers. 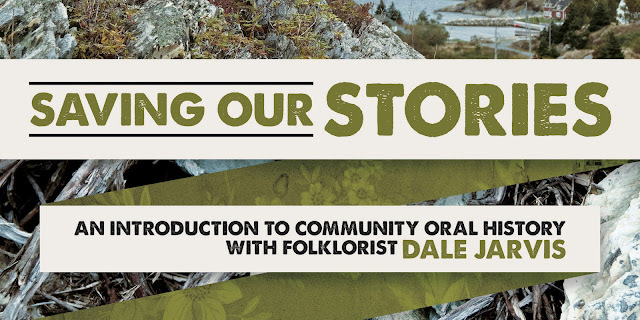 The workshop will be taught by folklorist Dale Jarvis of the Intangible Cultural Heritage office, Heritage Foundation of Newfoundland and Labrador. Workshop limited to 10 participants. Tuition: $50. Pre-registration mandatory.